Back in October 2009, I made some predictions regarding the growth rate of IP video surveillance. 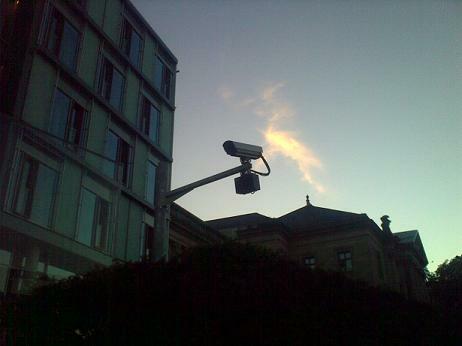 Video surveillance is currently undergoing a technological transition from analog CCTV to digital cameras that are connected over the internet. Current estimates suggest that by the end of 2012, about 40 percent of the market had made the transition to IP. While this figure will continue to grow in 2013, it is still clear that I have been overly optimistic. The presentation above points out that technology is not adopted in a linear way. As the snowball comes into motion and more people become familiar with a technology, the adoption rate increases. How could this argument result in an inaccurate forecast then? The answer is probably related to how the market is defined. Recall that S-shaped growth patterns occur in a homogenous population where the preferences of users are reasonably similar. If this is not the case, the S-curve of diffusion will be misleading. Having learnt more about IP video and the technology transition, it has become clear to me that one needs to make a distinction between large and small installations. In larger installations, benefits of IP are more obvious (scalability, lower integration costs) whereas in smaller settings (3-4 cameras), IP has so far been less competitive compared to traditional CCTV. Growth has indeed been phenomenonal in the segment for larger installations and followed a traditional S-curve pattern. Two conclusions can be drawn from this observation. 1. When making predictions about how technologies grow, one has to be careful about how the market is defined and delimited. 2. In the case of IP video surveillance, there are extensive growth opportunities in the segment for smaller installations. This entry was posted in IP Video surveillance and tagged Diffusion, Forecast, Growth, IP video by admin. Bookmark the permalink.